Looking for Preschool Workshops in the Bay Area? 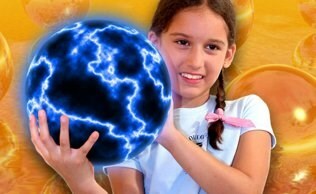 A Mad Science Pre-School Workshop is 30 - 45 minutes of fun, interactive discovery. 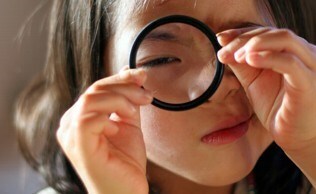 Young children will see, touch, taste, hear and smell what science is all about! Our professional Mad Scientists are experts at captivating children’s attention and awing them with spectacular experiments and demonstrations. All of our programming is hands-on so the kids are always involved and engaged. From topics on air, animal friends and butterflies to water, weather and worms, each workshop is designed to captivate the curious nature of young children. Preschoolers enjoy engaging demonstrations, perform simple experiments and will discover how science can help us better understand the world around us! All our preschool activities are designed by a professional team of educators to ensure they are appropriate for the skills and capabilities of 3 to 5 year olds. These programs are a unique and innovative way to spark young children’s imaginative learning. Each 30-45 minute program features a complimentary Teacher Resource Package (available upon request) to help educators maximize the learning experience. PLEASE NOTE THAT CHILDREN MUST BE BETWEEN THE AGES OF 3 AND 5 YEARS OLD TO PARTICIPATE IN OUR PRESCHOOL WORKSHOPS. CHILDREN WHO ARE 2.5 YEARS OLD ARE STILL TOO YOUNG FOR OUR PROGRAMS. OUR PRESCHOOL WORKSHOPS ACCOMMODATE A MAXIMUM OF 20 CHILDREN ONLY. IF YOU HAVE MORE THAN 20 CHILDREN, IT MAY BE NECESSARY TO SCHEDULE ADDITIONAL WORKSHOPS. For a complete list of Preschool workshop topics and descriptions click HERE.